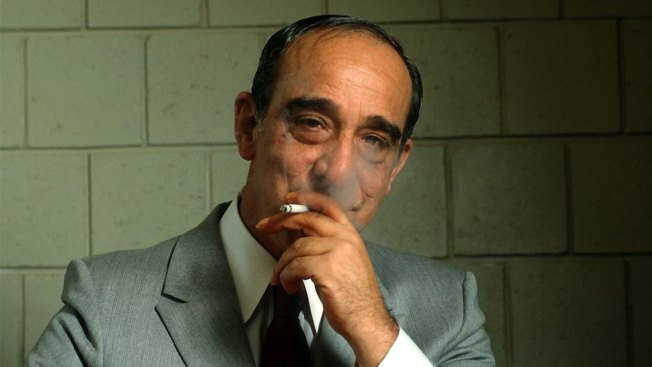 Carmine Persico, boss of the Colombo Crime Family, poses for a portrait Sept. 15, 1986 at the Metropolitan Correctional Center in New York City during the Commission trial. Legendary New York mob boss Carmine Persico, who as head of the Colombo crime family was convicted in the 1980s for a laundry list of crimes, has died. He was 85. His lawyer confirmed to NBC New York that Persico died Thursday at Duke University Medical Center in North Carolina. He had been serving what was effectively a life sentence at a federal prison in Butner, North Carolina. Carmine John Persico Jr., known variously as "Junior" and "The Snake," was born in 1933 in Brooklyn. Prosecutors said Persico took over the murderous New York-based crime organization in the early 1970s when it was at the height of its powers. In the summer of 1986, he was convicted of racketeering and murder in a prosecution of mob bosses led by then U.S. Attorney Rudolph Giuliani and sentenced to more than a century in prison. He acted as his own lawyer at trial. According to a New York Times report, Persico (who was his own attorney at the trial) blamed "Mafia mania" for influencing the proceedings. Sentenced to more than 100 years in prison in 1987, Persico was reputed to still exert authority over the Colombo family from behind bars for decades. In prison, he was also reported to have befriended notorious fraudster Bernie Madoff.